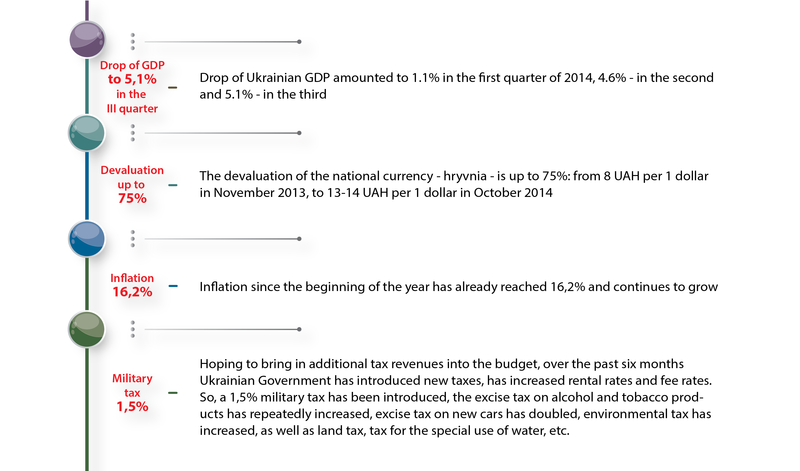 – Drop of Ukrainian GDP amounted to 1.1% in the first quarter of 2014, 4.6% – in the second and 5.1% – in the third. – The devaluation of the national currency – hryvnia – is up to 75%: from 8 UAH per 1 dollar in November 2013, to 13-14 UAH per 1 dollar in October 2014. – Inflation since the beginning of the year has already reached 16,2% and continues to grow. – Hoping to bring in additional tax revenues into the budget, over the past six months Ukrainian Government has introduced new taxes, has increased rental rates and fee rates. So, a 1,5% military tax has been introduced, the excise tax on alcohol and tobacco products has repeatedly increased, excise tax on new cars has doubled, environmental tax has increased, as well as land tax, tax for the special use of water, etc. Not only economy of Donbas, but economy of the whole Ukraine needs structural changes. Naturally, the most important thing today for Ukraine and its citizens is to restore peace. But now it is the time to think about what will happen not just tomorrow, but the day after tomorrow. To think about how to prevent new conflicts, how to reach a political consensus in the society and to accommodate interests of all citizens, regardless of their region of residence. We must not only restore the war-torn regions, but already now we must provide growth drivers for our economy, which will allow increasing the level of material well-being of every Ukrainian family for decades to come. 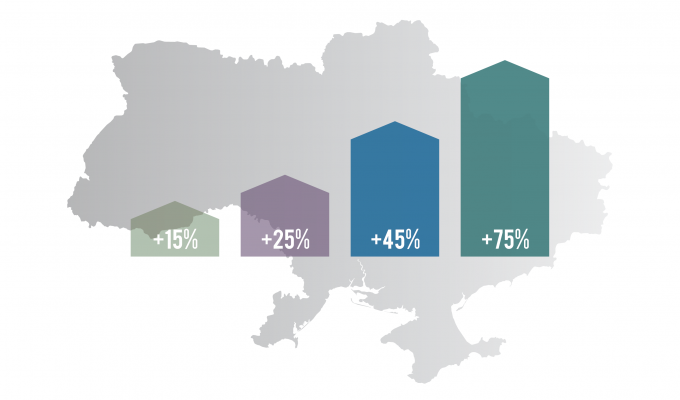 We have developed a detailed program of economic breakthrough for Ukraine. Its implementation will allow enhancing competitiveness and revealing the potential of the country as a whole and of each region with its special features and capabilities.